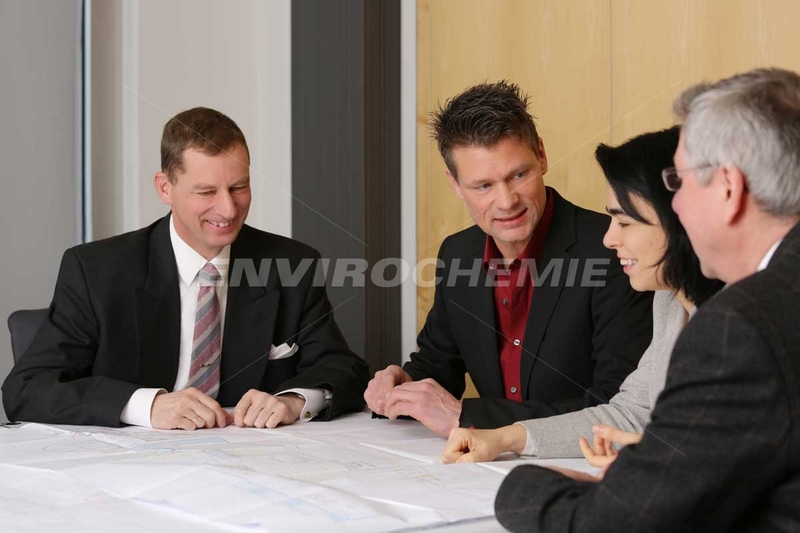 We are your partner in all questions relating to industrial water treatment. We are pleased to advise you on all questions relating to water treatment. Do you need a specific water quality for your production, want to save water and energy or have to clean wastewater to predetermined limit values? Then ask your experts for advice. We can discuss the steps required to implement plant technology that is tailored to your needs, either on-site or at our headquarters. Depending on the task, we determine the necessary plant configuration parameters in our engineering lab, and then suggest a suitable plant solution for your application. We use our own technology lines developed in-house, such as physico-chemical, biological and membrane technology water treatments. We can also advise you if you want to modernise existing plants, or if you want to save on operating costs. We will then show you how you can optimise the use of energy or resources.